Today’s the day to put a few things to rest. You know I have been sitting here quietly over the last few months saying very little to make enemies or to rattle cages. My intent is not to make enemies but IS to rattle cages. Inevitably that leads to making me unpopular with some. But the “some” I am not worried about, because they have the same cult-like proprieties that the Dyer followers had. 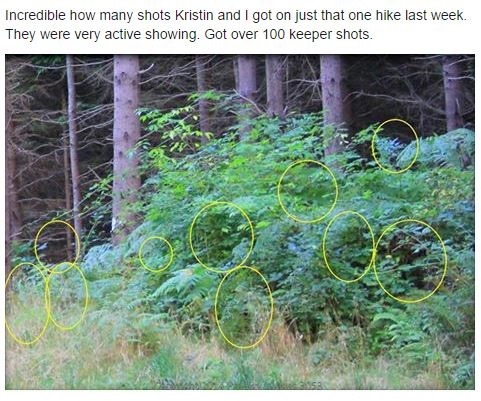 First the analysis of “The Squatchmaster” Jeff Patterson’s YouTube Video he had put out based on alleged audio he had gotten off his recorders. The first thing you notice, the audio quality seems a bit weird. It seems to me is sounds like a recording of a recording, with compression and an echo added into the mixer of the audio. See I know a little about those effects and mixing, though I am no expert. But I was a front man and singer in a Heavy Metal band about 8 years ago. A You Tube user, who claimed to have been an audio expert, suggested all we were listening to was speech in reverse. That combined with the effects, we figured we give it an analysis and score one for the truth, we debunked it as a hoax. Because reversing the speech also accompanies all those other things such as compression and echo, you find on programs like Audacity, Wave Pad and the like. 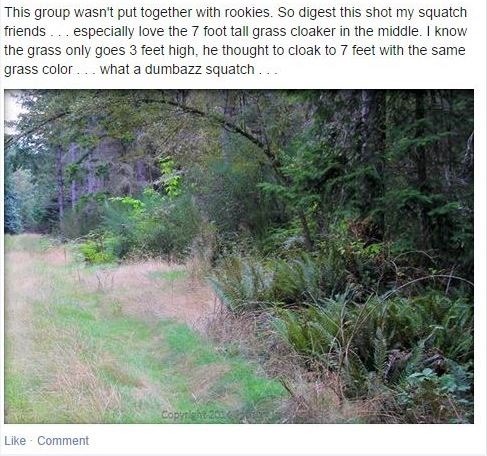 Latest analysis, debunking the “Squatchmaster’s” Audio as a hoax. Apparently I wasn’t the first to come up with the idea of putting it to the test as I found out shortly after posting this. My friend Randy Filipovic also dug a little deeper last night, not only pulling out some, now deleted, admissions from Patterson, but also reversed the audio on the “Squatchmaster’s” video as well. 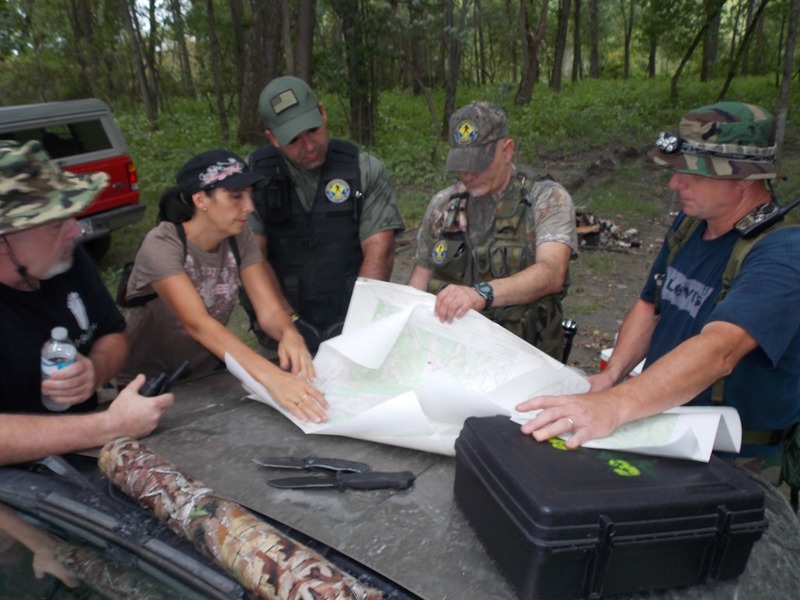 Randy’s account can be read on his Bigfoot Anarchy Blog here. So now this is one of two things. Complete delusion, or just plain lazy hoaxing. 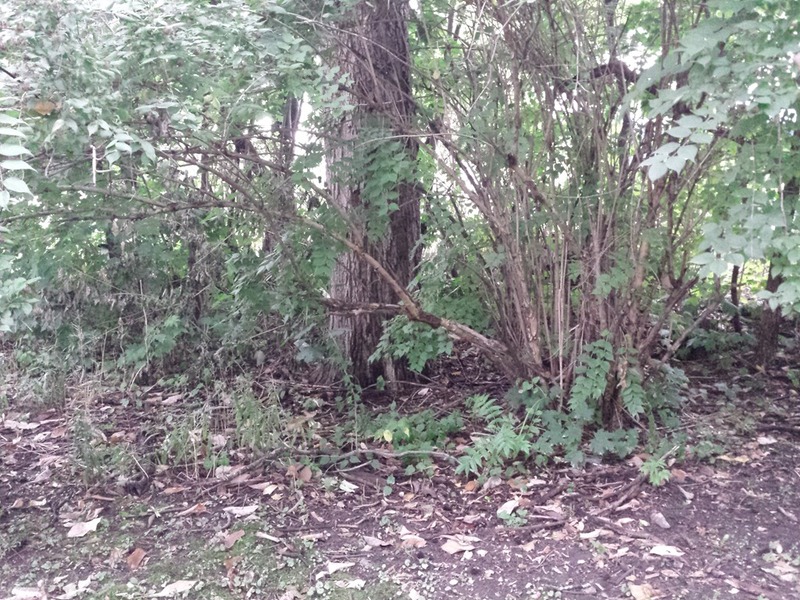 I mean, take a picture of the woods and say…see the Sasquatch? 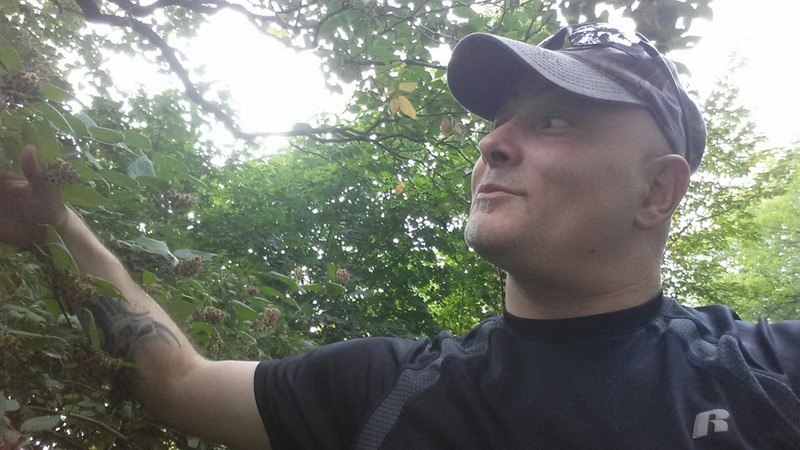 Here’s me and my “Forest Friend” Marty…at least I think its Marty… haven’t quite figured out his complete name..so we call him Marty. 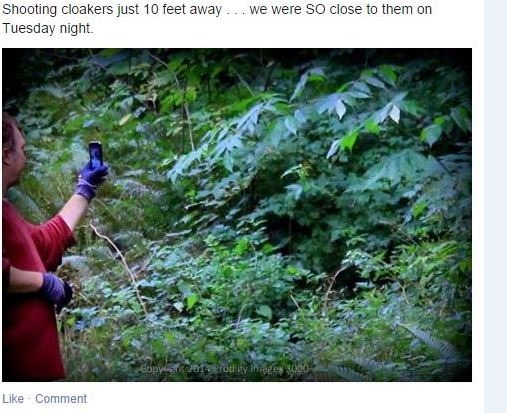 He only cloaks for photos, video and can change his temperature colder so he looks invisible if someone has a thermal imager. Here’s Marty’s big internet debut. Can anyone see he’s kneeling down while he’s cloaked? That’s a huge ability, and only certain Forest Friends have that ability. He soon will become some human’s teacher. Here’s Marty’s family. 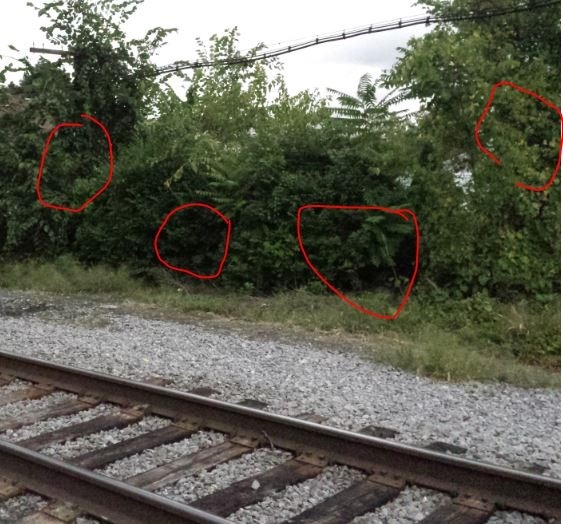 They are not allowed across the railroad tracks just yet, because they are having a bit of a problem figuring out what Railroad crossing signs are. I have a good friend in Sandusky, may just be able to help them out!!! 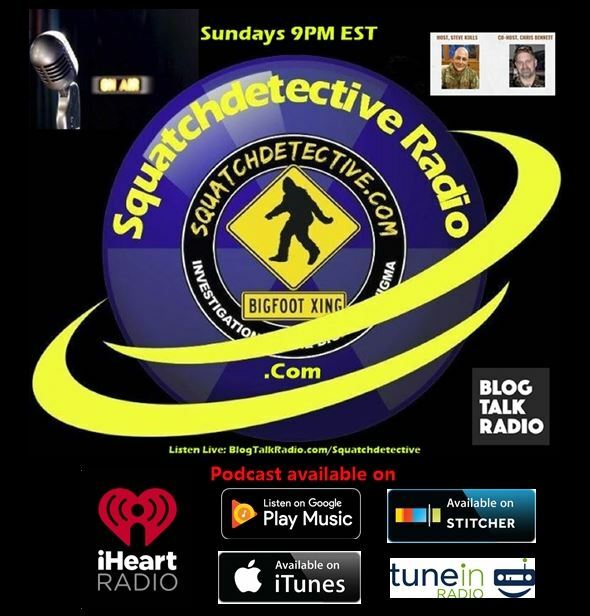 Look forward soon to seeing the return of Squatchdetective Radio. Prepping for the daytime scouting mission. The field team was out a couple of weeks ago to a new area and we were quite surprised to obtain some audio, we are currently analyzing. The area was remote and terrain difficult. We look forward to giving you some of the audio evidence sans the compression, echo and reverse effects and it will sound crisp and clear. Is it a Sasquatch we got? I don’t know, but certainly not human. 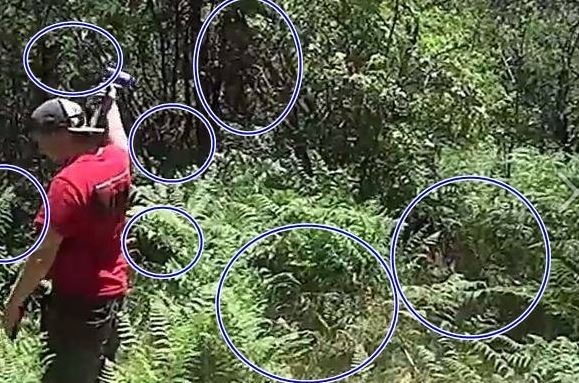 Pictures will not contain red, yellow or magenta circles pointing out Sasquatch er..ah “Forest Friends” hiding in the bushes or cloaking. The only thing cloaked that weekend were my Smores… because I forgot the dang marshmallows. « I’m back and guess what? Standing again under fire.